Hazelwood company Lubrizol has chosen G F Tomlinson to build a new £9m high-tech conferencing centre that it says will strengthen its place at the forefront of the global specialist chemicals industry. The company, in Nether Lane, has taken three years to plan and design the project, which will see the creation of a split-level, high-tech meeting and training facility built into the hillside. Lubrizol has occupied its site for more than 70 years but says that its current training facilities are no longer fit for purpose because they are cramped and the information technology is out of date. Instead, the new building will be able to accommodate up to 200 people, predominantly staff and customers, in six flexible conference areas which, thanks to retractable stadium-style seating, can be converted into an auditorium setting in front of a large, floor-to-ceiling cinema-style screen. The building will be used to share ideas and showcase the company’s latest developments utilising the latest AR/VR/XR technologies, which will immerse attendees in an interactive environment that maximises the customer experience. It will also be extremely energy efficient, thanks to a glass frontage, a living roof and intelligent lighting, heating and technology controls which automatically respond to the numbers of people using the building to ensure the environment does not detract from the experience. The building has been designed by architects Morrison Design, based in Derby, and this week Lubrizol announced that G F Tomlinson will be the lead contractors tasked with bringing the project to life. Simon Griffiths, general manager of Lubrizol Hazelwood, said: “We’re delighted to announce G F Tomlinson as the lead contractors on this project, further strengthening our commitment to using local suppliers wherever possible. 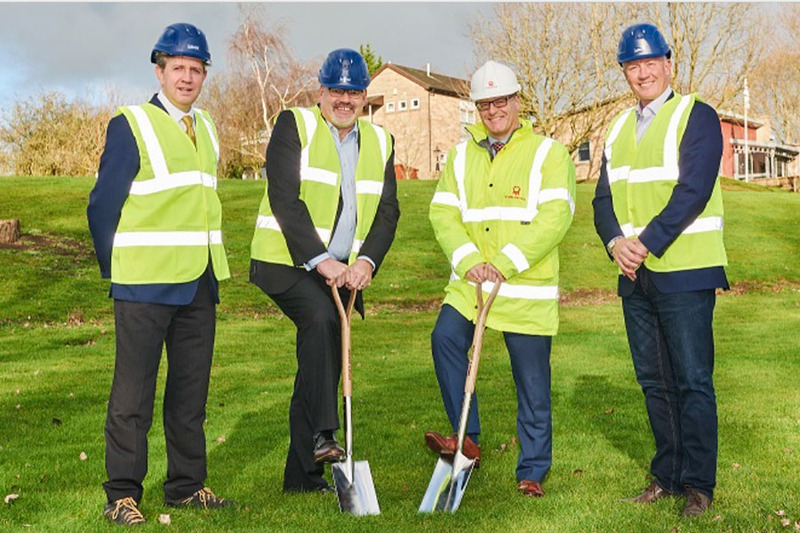 “This is a world-class facility that will have been designed and built in the heart of Derbyshire, and which will help Lubrizol to grow and stay at the forefront of our industry in the 70 countries we operate in across the globe. “Sharing knowledge is vital in our business and this facility will help us to ensure that staff and customers have somewhere they can come together in order to do that and can learn about our work and our products. Work is due to begin on site in the coming months and is expected to be completed by mid-2020. Lubrizol has also committed to minimising the impact created during the building’s construction, ensuring that nothing is taken to landfill, while lorry movements will be kept to a minimum through the retainment on site of the excavated material. The company has worked with the local parish council to develop an extensive planting scheme and has also developed a wildlife management plan that will further increase the biodiversity of the site, which is already home to 75 species of birds and animals. Andy Sewards, managing director at G F Tomlinson, said: “I worked closely with Lubrizol on a project in 1995 and the company has worked with them a few times before and since, so it’s fantastic to work together once again on such an important site for Lubrizol.